Strong self-adhesive glass fibre tape for plasterboard joints. 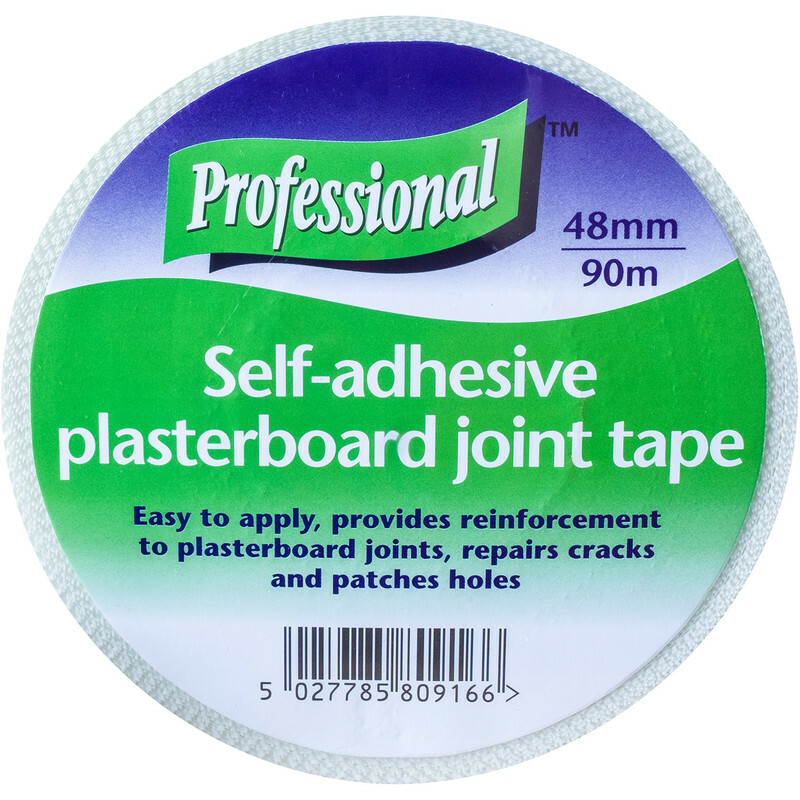 Plasterboard Joint Tape 48mm x 90m is rated 4.2 out of 5 by 19. Rated 5 out of 5 by Jboy from Excellent scrim tape. This fibreglass tape is just the business for taping up drywall prior to filling or skim plastering. Also very useful for plasterboard repairs. Nice and thin with good sticking abilities. Rated 5 out of 5 by Timbo2 from Great finish Used this with touprets internal filler to fix a large crack where plasterboard joins solid wall. Followed instructions and got a Suberb invisible finish on painted wall. Rated 4 out of 5 by Griffy from Scrim Tape Tack can give if up for a while before scimming. and apply after PVAing the wall as it doesnt like it and comes unstuck. Rated 2 out of 5 by Morg from Not Sticky The tape has very poor adhesion, making application difficult. It's cheap for a reason. Rated 1 out of 5 by Bobster4 from Poor adhesion Poor adhesion - cheap stuff, but not great to use. Rated 5 out of 5 by Thirly from Does what it should Good quality tape. Its sticky and works as it should. Not a bad price either.